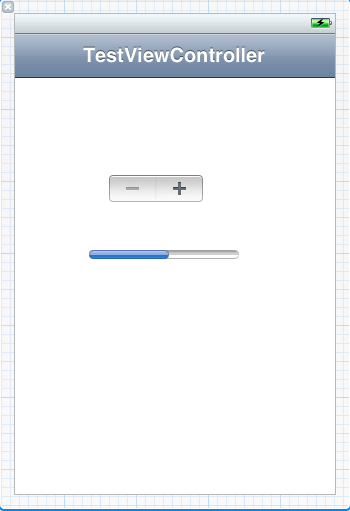 Random Thoughts: Add a UINavigatorController UI and load from XIB in an empty (single window) iOS App. 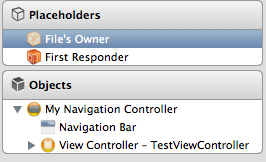 Add a UINavigatorController UI and load from XIB in an empty (single window) iOS App. 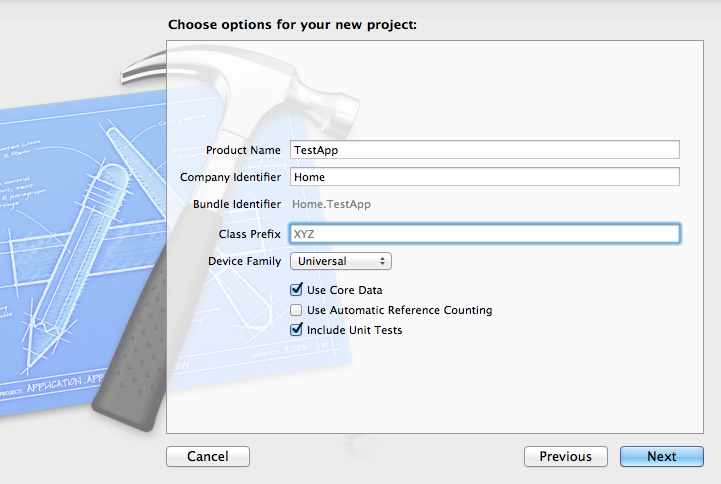 Create an empty (single window app) and load up a customized UINavigationController class via a XIB. Many times, you want to customize the crap out of UINavigationController and somehow Apple does not give enough flexibility in the API. For example, you cannot create a customized UINavigationBar in a customized UINavigationController via the API. However, if you load up the customized UINavigationController (let's call it MyNavigationController) from XIB, you could attach a customized UINavigationBar to your NavigationController. Weird? May be, I don't know enough to say yes or no. 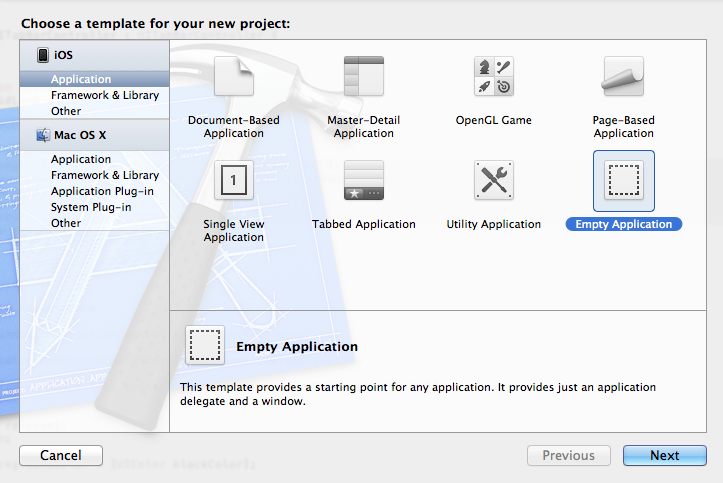 Step 1: Create a brand new project with an empty app. Call it "TestApp". 2. Build and run the app, if you want. 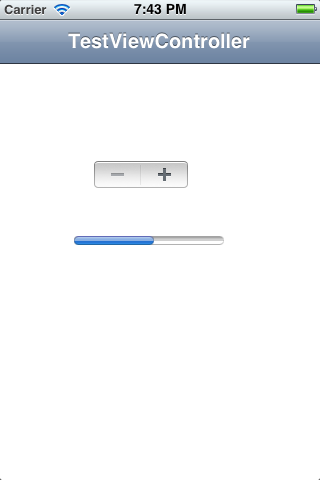 You will see a single window app with nothing in it. 3. 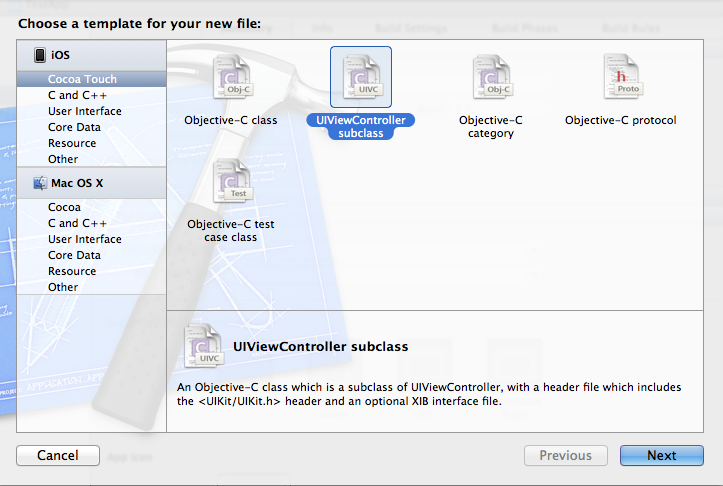 From file menu, choose "New File" and create UIViewController subclass. Name the class MyNavigationController and base class "UINavigationController". Check the 'With XIB ..' option. This will create 3 new files for you. MyNavigationController.[m,h,xib]. 4. Edit and fix the XIB. 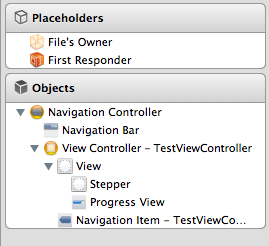 Remove the "View" from it and add a "Navigation Controller" object from the library. 7. 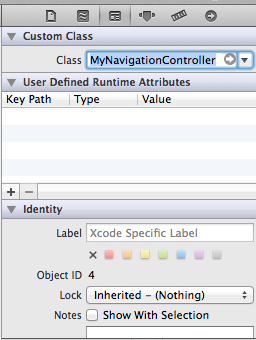 Update the Nib name and class name for Navigation Controller object. 8. 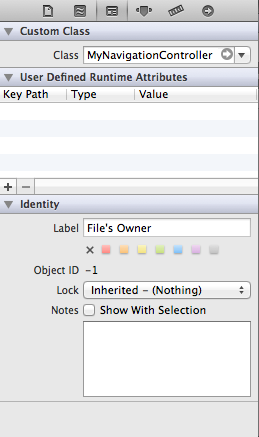 Add the following to your AppDelegate.h file into appropriate lines (I am assuming you know where). 10. Now you are almost done. Build and run. 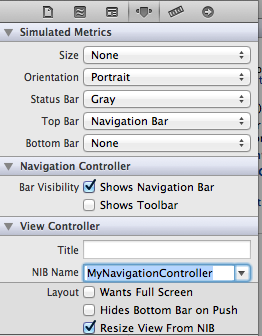 You should have an app that loads your XIB and your custom MyNavigationController object. 11. Let's customize your NavigationController a bit. For fun, lets change the Navigation Bar color to red. After all, this was the whole point of this whole exercise. 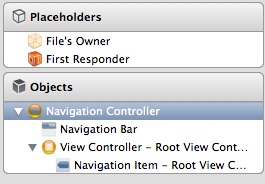 In your MyNavigationController.m file, function viewDidLoad, add the following lines to change the Navigation Bar color. 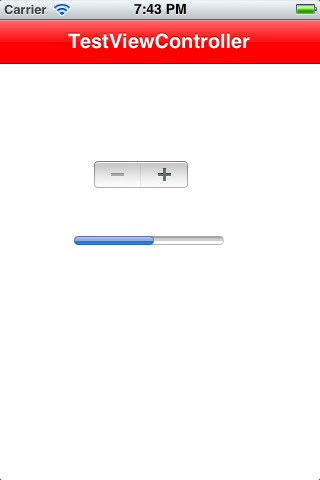 If you compile and run, you will see a customized Navigation Bar. 12. Well, really, the fun just started. 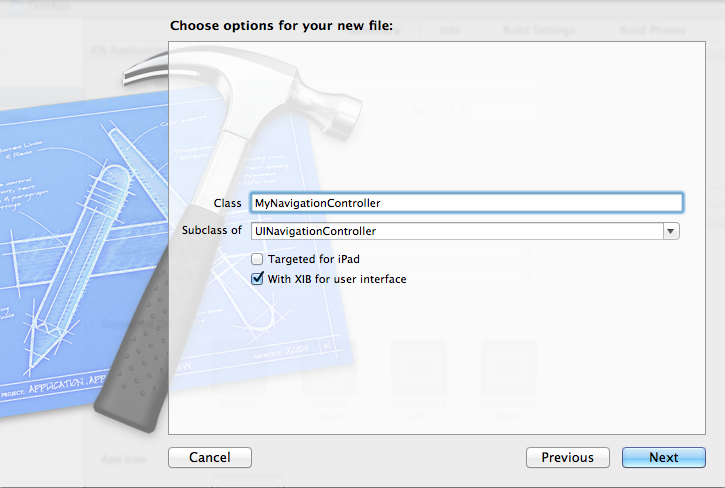 After this step, you can create a custom UINavigatorBar and attach it to your MyNavigatorController. However, I will document that part another day.